Pengo was recently featured in Compact Equipment’s July/August 2017 issue. 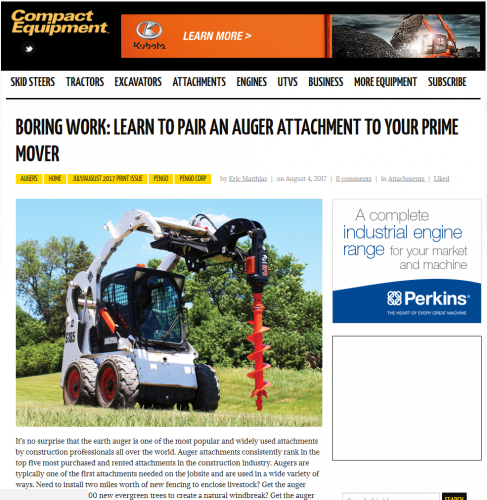 The article, written by Eric Matthias, Director of Business Development & Engineering, reviews how to properly pair an auger attachment to a prime mover. Click here to view the full article.